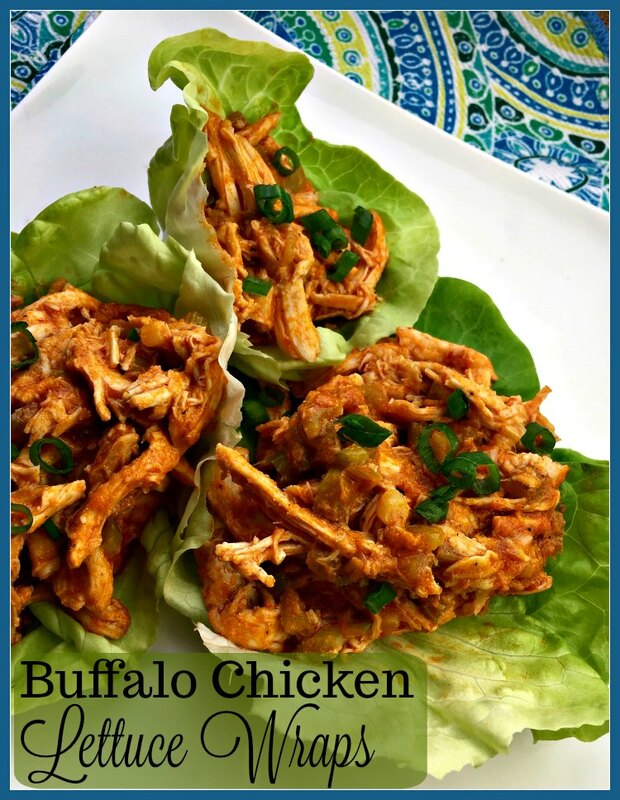 Wings for appetizers or snacking might be what comes to mind when you think of Buffalo Chicken. 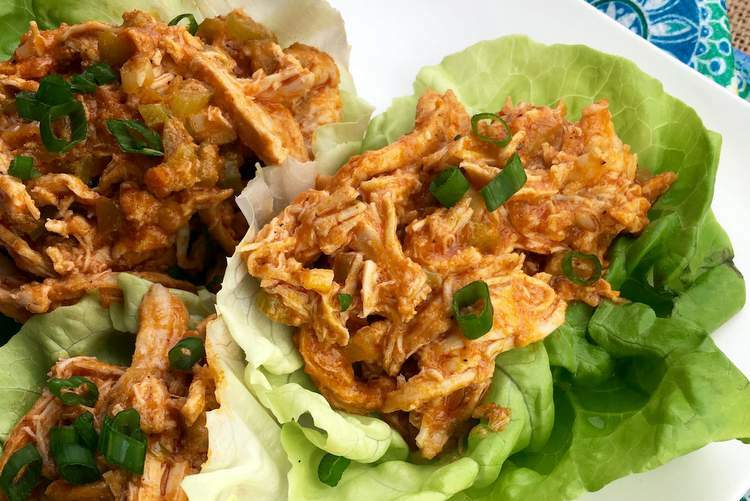 However, these Buffalo Chicken Lettuce Wraps will prove that you can enjoy the flavor without worrying about it fitting into a healthier lifestyle. Note ~ Affiliate links are present in this post for your convenience. Purchasing through one of our links may result in a small commission. Thank you in advance to anyone who elects to help support this site through their purchases. This recipe features all the wonderful flavor found in traditional Buffalo wings – with none of the guilt! You can eat this dish regardless of which ‘diet plan’ you may be following. It works with Whole 30 and Low Carb plans. If you are following Weight Watchers, one serving is 10 SmartPoints. 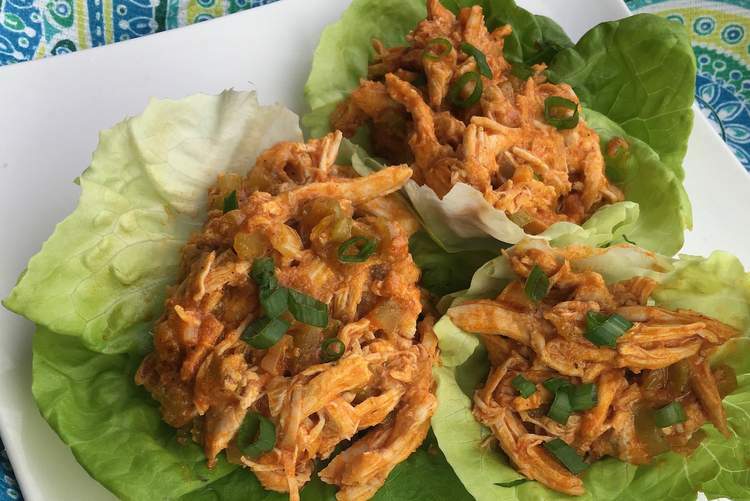 If you don’t want to have the buffalo chicken in a lettuce wrap, you can use it as a topping for a large vegetable packed salad. As an added bonus, this satisfying one-pan meal comes together in less than 30 minutes. Lots of flavor and protein in this dish while the carbs are kept low. Are you adopting a particular nutrition focus for your diet, e.g. Whole 30 or Low Carb?